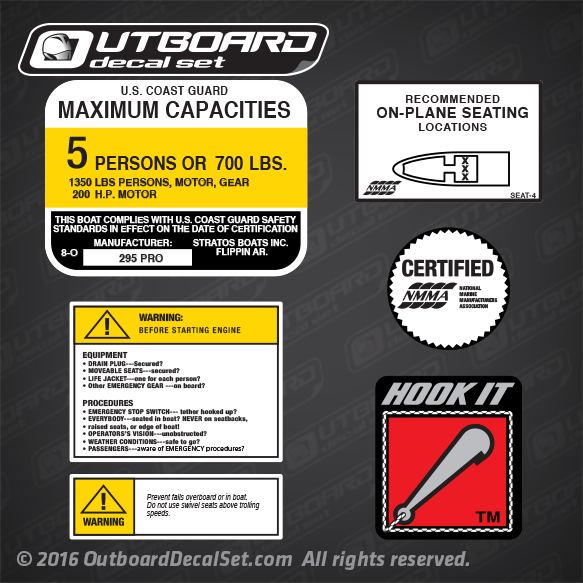 Decals Made using OEM size from a Stratos 295 PRO Boat. 5 PERSONS OR 700 LBS. MANUFACTURER: STRATOS BOATS INC. FLIPPIN AR. • EMERGENCY STOP SWITCH--- tether hooked up? • raised seats, or edge of boat! • WEATHER CONDITIONS---safe to go? • PASSENGERS---aware of EMERGENCY procedures? 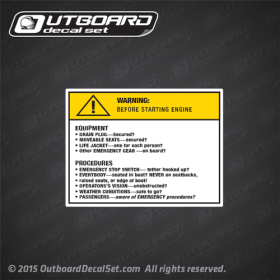 Prevent falls overboard or in boat.